Ready to cruise through Baltimore in a capable, sporty SUV that can conquer any kind of terrain? 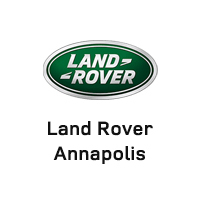 Then it’s time to get behind the wheel of a Certified Pre-Owned Land Rover Range Rover Evoque at Land Rover Annapolis. By shopping CPO, you can get a better deal on a thoroughly-inspected luxury vehicle. After you browse our online selection of Land Rover models, be sure to make your way from Arnold to our dealership for a test drive! When you’re ready to test out the many features of the Evoque, visit us at Land Rover Annapolis! We’ll set you up with the perfect Certified Pre-Owned model so you can drive home happy. Be sure to explore different configurations like the Range Rover Evoque SE when you visit!